Sairee Cottage Diving is an eco friendly dive school on Koh Tao. Sairee Cottage Diving Koh Tao is accredited with the 100% AWARE rating by the ProjectAWARE foundation and runs an eco conscious divemaster program. Our Divemaster program aims to educate and inspire professional divers to become ambassadors of our ocean. As part of your Divemaster training, you are able to attend ProjectAWARE lectures. These are usually a part of the Instructor Development Course and MSDT program at Sairee Cottage Diving. We believe in inspiring divers to make a personal change. Through the ripple effect they will in turn inspire more people. An environmentally conscious diving community can make a huge difference. It is fantastic to see our Divemaster candidates being inspired and working together. 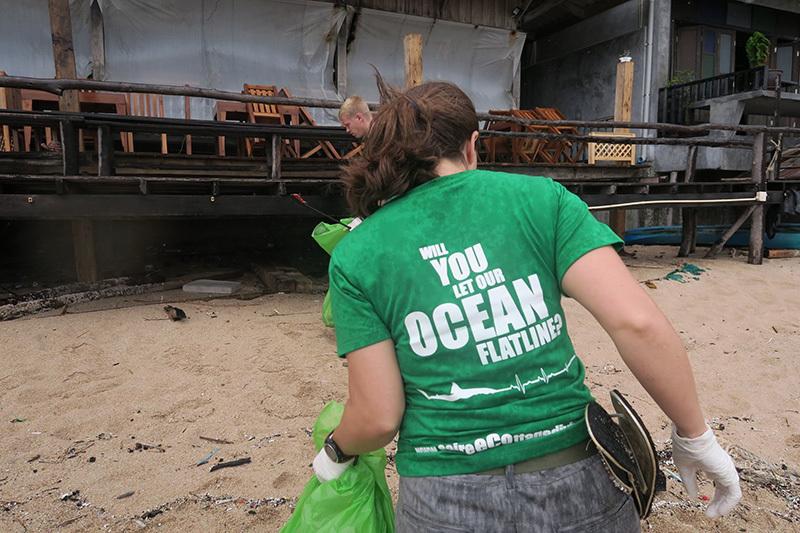 They participate in clean ups and organise movie nights to watch films about our ocean. Some favorites include Shark Water, Black Fish and The Cove. Must watch films for any diver. Many Sairee Cottage Diving staff members and Divemaster candidates have seen these films multiple times. At the bar we often talk about our concerns for our ocean environment. Often we inspire fun divers and students to make personal changes. We want you to be knowledgeable about marine conservation in order to inspire your future fun divers or students. Our Divemaster program has an eco credits rating. Attending lectures, participating in our monthly clean up day, or attending movie nights all count toward your eco credits. 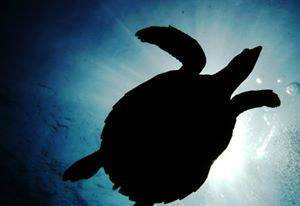 Our Divemaster candidates do not passively attend the minimum eco programs in order to get the eco credits. They participate actively, inspire others to do the same and attend beyond the minimum requirements. As a professional diver we have a great responsibility to inspire new divers to become passionate for our ocean. Two of our divemaster candidates Elisha and Anton got our “will you let our ocean flatline?” tattoos! Together we can make a considerable difference and preserve our local paradise and through inspiration the rest of the world.